The rise of online retail has led to modern shopping centres changing beyond recognition. Shopping has become more of a day out. Less than half of visitors are there purely to shop. Instead, they may look for food and beverage options or enjoy the leisure activities available in the shopping centres. For retail centres to thrive it is vital they embrace competitive socialising opportunities and appeal to tech raised millennials. Competitive socialising is an emerging part of the leisure industry based upon the concept of friends socialising through competition. It usually features indoor sports which engage in an element of technology. There also tends to be a food and beverage offering to add to the social experience. A recent survey showed that 50% of 18-24-year-olds say that the entertainment on offer at shopping centres will affect how often they visit. Therefore, it is vital for any shopping centre owner to consider whether they have enough entertainment options, to encourage competitive socialising. BatFast’s cricket simulators can help with this area. They offer variable speeds making them perfect for entertainment. Our simulators also have six different game modes, meaning there is a strong competitive element involved. A batsman can also compare their score to the leaderboards, to see if they managed to outscore their favourite celebrity. Millennials have grown up in a technology-focused world. If these young people are going to visit shopping malls regularly then the malls must embrace technology. For example, at least 11% of shoppers now want a VR experience at malls. While over 10% want AR. Over the next decade, these numbers are likely to skyrocket as the technology becomes a part of everyday life. Therefore malls should seek retailers willing to provide these new technologies, as the overall loyalty, and engagement in malls will increase through young customers. Technology and innovation are at the heart of BatFast. 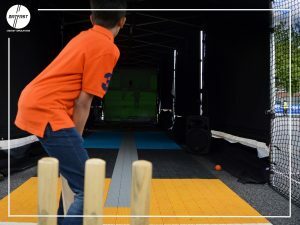 We are currently developing VR and AR technology to incorporate into our simulators, making the cricket experience fully immersive. We are also using artificial intelligence. 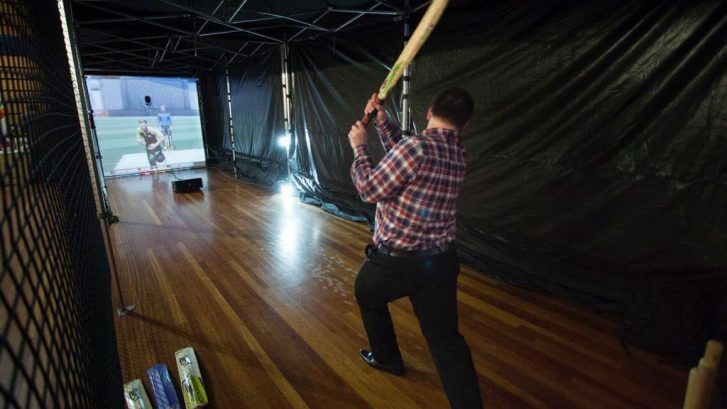 AI will allow our simulators to learn an individual batsman’s strengths and weaknesses, meaning it can choose a specific delivery to challenge the batsman. As well as this we already have a camera tracking scoring system. This provides data like, shot speed, distance, trajectory and runs scored. Because of this exciting technology, we believe our simulators offer a far more engaging proposition to the younger generation than a traditional retailer. Therefore we can help increase the number of young shoppers at malls.